SERVPRO of Middletown/Springboro is available 24 hours a day for water emergencies, large or small, residential or commercial. When you are dealing with water damage, immediate action is critical to prevent microbial growth. A delay in water extraction can turn a small clean up into a larger more expensive event. Water damage to your most valuable assets can be a stressful event. We are highly trained and certified to extract and dry your home through an efficient process that will leave your home in its original condition. SERVPRO of Middletown/Springboro specializes in the cleanup and restoration of residential and commercial property after a fire, smoke or water damage, as well as mold . Our technicians are highly trained in property damage restoration utilizing state-of-the-art equipment to manage the event quickly and precisely. When a flood hits your home, there is not much time to collect yourself, let alone start to mitigate damages. However, if you can manage to get things in motion quickly, you may be able to reduce expenses and repair times associated with flood damage to your residence or business. Here are a few things to try to act on after a damage. Get Things Higher Up Before a flash flood - You may want to spend some time in the hours before it hits moving your belongings to higher ground. Floods don't often reach higher than a few feet in the home, and you should be able to keep most of your belongings safe by taking them to higher floors or placing them on counter-tops and secure tables. Be careful not to place too much trust in a table, however, as it may buckle or overturn as floodwaters overtake it. When it rains heavy for a long period amount of time sump pumps can potentially back up and fail, causing a water damage. When water damage strikes SERVPRO of Middletown Springboro is just one phone call away. We are a local emergency services business and our water specialists are just one phone call away, available 24/7 365. We use advanced inspection and extraction equipment to find the water and remove it as quickly as possible. Our technicians will monitor and document the drying process to ensure your property is back to normal. At SERVPRO of Middletown / Springboro biohazard clean-up is to completely clean, sanitize, and deodorize the site where a violent crime, suicide, or traumatic accident has occurred. Biohazard cleanup can be challenging work that requires professional technicians to handle potentially hazardous materials such as blood and body fluids, and proper handling of the crime or trauma scene is crucial to the safety of everyone involved, from the customer to the employees. If you experience a situation where our services are needed, don’t hesitate to give SERVPRO of Middletown / Springboro a call at our office 24/7 365 to schedule an appointment or if you just have a question. There is only a couple ways to remove mold, and there is a ton of ways not to remove mold correctly. A lot of things people use to remove mold is bleach, which is something you absolutely do not use at all, it actually feeds the mold and helps it grow. There is a process to remove mold that involves a lot of safety precautions not only for your health but also to keep it from spreading and cross contaminating other content or building materials. 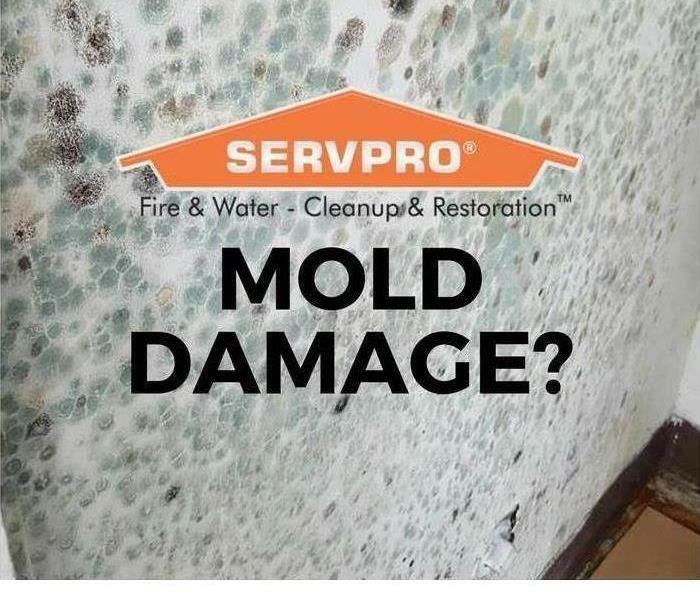 If you experience a water damage be sure to call the professionals at SERVPRO of Middletown/Springboro so we can get it dried to avoid any microbial growth. We are available to help 24/7 365 days a year. Don’t hesitate to call to schedule an appointment at (513)422-9200. There are thousands of different kinds of molds. A lot of times if you suspect mold in your house you may want to get a mold test. However a mold test isn’t really necessary if mold is visible. The first thing we would want to do is figure why mold is growing and creating mold colonies. Mold needs three things to stay dormant and survive, which is a mold spore, moisture, and a food source. The food source can be anything from dry wall dust, insulation etc...etc... Once the source has been fixed that caused the mold we can remediate it. SERVPRO of Middletown/Springboro professionals are available 24/7 365. If you have any questions or concerns on mold you can call our office at (513)422-9200. 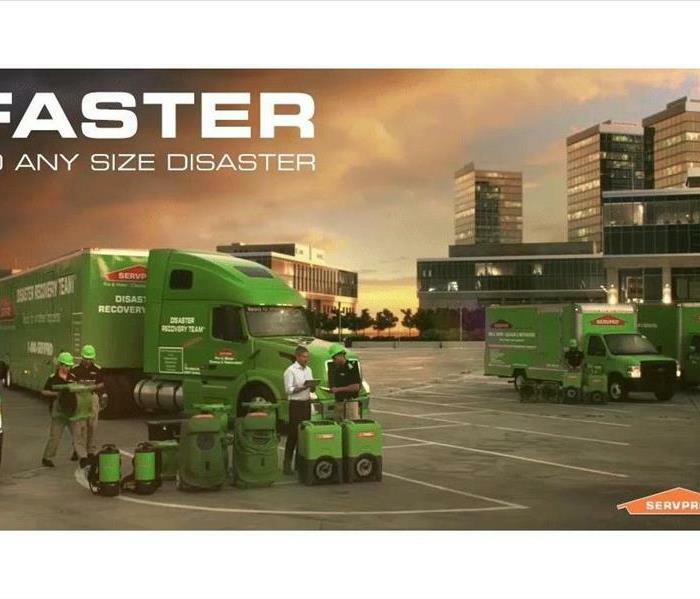 SERVPRO of Middletown/Springboro has the expertise and training to handle any disaster you’re going through. From having a water damage, fire damage, mold, etc...etc.... Once we complete the mitigation, remediation, or fire restoration. Our team can come out and give you a estimate on construction/buildback. SERVPRO of Middletown/Springboro understands the stress and worry that comes with a damage and the disruption it causes your life and home or business. Our goal is to help minimize the interruption to your life and quickly make it "Like it never even happened." SERVPRO of Middletown/Springboro's water team has over 35 years of experience of water mitigation, mold remediation and carpet cleaning. Every member plays a crucial role in getting every job done professionally and quickly. Trust that our team will take care of your home as if it were their own. What some people don’t know about SERVPRO of Middletown Springboro is we do more than just fire, water, mold, and crime scene cleanup etc...etc... When we go in for those jobs and have to cut dry wall, pull carpet, pull any type of flooring, anything we do we can build it back to its original state. We do everything from start to finish from demolition, construction and remodel. Our staff is highly trained in property damage restoration and construction. From initial and ongoing training at SERVPRO’s corporate training facility to regular IICRC-industry certification, rest assured our staff is equipped with the knowledge to restore your property. With a nationwide system of qualified franchises, no damage is too large or too small for SERVPRO of Middletown/Springboro. SERVPRO of Middletown Springboro is an IICRC firm. The Institute of Inspection, Cleaning and Restoration Certification (IICRC) creates the standards for the restoration industry and provides training and certification to restoration companies. IICRC Certified Firms have the right to display the IICRC Certified Logo. Residents should not attempt to clean up a blood spill in their home. Even without the emotional component, there is the risk of disease and other pathogens in even a small amount of blood. SERVPRO of Middletown Springboro understands both elements and how to deal with them when developing a restoration plan. The anti-bacterial cleaners are necessary since blood does not respond to conventional cleaners like dirt or soot. Conventional agents do not always clean blood completely and even when they do, there is often, a stain remaining at the spill point. Leaving a visible mark is not something we accept; if we cannot remove the entire mark, our technicians can repaint the affected area or remove the stained structural property. Restoring your home after any disaster is difficult. Cleaning up a blood spill is one of the more difficult tasks we face, but SERVPRO of Middletown Springboro is here to help. We want to return your home to its original state so that you can move forward when the time is right for you. Call us today at. Call (513)422-9200 to schedule an inspection and get started.